GROVE HMQ813 Cast-Iron Gear Reducers are ideal for conveyors, material handling, textile machines, packaging machinery, and other machines that require slow speed with high torque. GROVE HMQ815 Cast-Iron Gear Reducers are ideal for conveyors, material handling, textile machines, packaging machinery, and other machines that require slow speed with high torque. GROVE HMQ818 Cast-Iron Gear Reducers are ideal for conveyors, material handling, textile machines, packaging machinery, and other machines that require slow speed with high torque. GROVE HMQ821 Cast-Iron Gear Reducers are ideal for conveyors, material handling, textile machines, packaging machinery, and other machines that require slow speed with high torque. GROVE HMQ824 Cast-Iron Gear Reducers are ideal for conveyors, material handling, textile machines, packaging machinery, and other machines that require slow speed with high torque. GROVE HMQ826 Cast-Iron Gear Reducers are ideal for conveyors, material handling, textile machines, packaging machinery, and other machines that require slow speed with high torque. GROVE HMQ830 Cast-Iron Gear Reducers are ideal for conveyors, material handling, textile machines, packaging machinery, and other machines that require slow speed with high torque. GROVE HMQ832 Cast-Iron Gear Reducers are ideal for conveyors, material handling, textile machines, packaging machinery, and other machines that require slow speed with high torque. GROVE HMQ842 Cast-Iron Gear Reducers are ideal for conveyors, material handling, textile machines, packaging machinery, and other machines that require slow speed with high torque. GROVE HMQ852 Cast-Iron Gear Reducers are ideal for conveyors, material handling, textile machines, packaging machinery, and other machines that require slow speed with high torque. 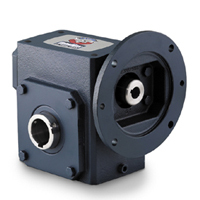 GROVE HMQ860 Cast-Iron Gear Reducers are ideal for conveyors, material handling, textile machines, packaging machinery, and other machines that require slow speed with high torque.